Today I hosted a little summer Popsicle Party for my kids and a few of their friends. It was SUPER hot outside, so the theme was perfect for all ages. Back in July, I posted the invitations that I made for the party. I used card stock, popsicle sticks, and ribbon to make the Popsicle cards. They opened up to provide the invited guests with the party details. 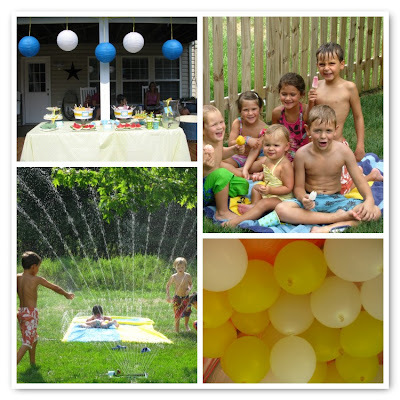 ...where the kids could play on a slip-n-slide, in baby pools, make a popscile stick craft, and of course eat POPSICLES and other cool treats! 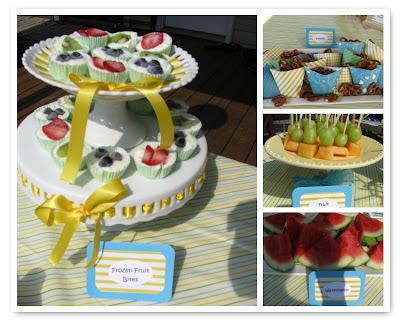 The snack table included watermelon, fruit kabobs, POPSICLES, frozen fruit bites, pretzels, and lemonade. I made little cups out of paper for the pretzels. The frozen fruit bites recipe is from an earlier post. 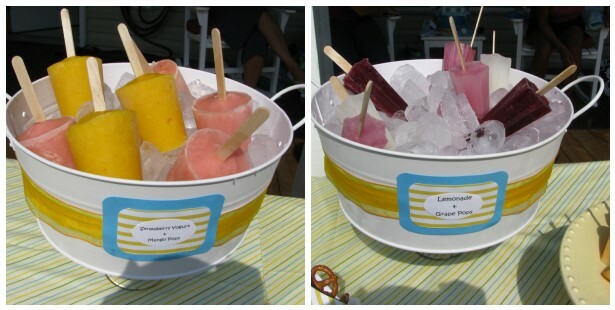 I made four different flavored popsicles for the kids to choose from: Strawberry Yogurt Pops, Mango Pops, Lemonade Pops, and Grape Pops. I set up a craft table under a tent for the kids to be able to cool off and get creative. 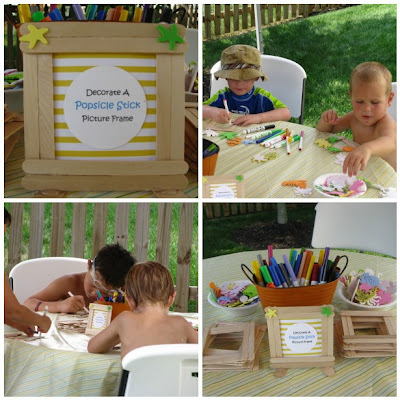 I pre-made simple POPSCILE STICK picture frames that each child could easliy decorate by coloring with markers and sticking fun summer-themed stickers on. Everyone seemed to enjoy the craft and it was easy enough for even my 20-month old to do. 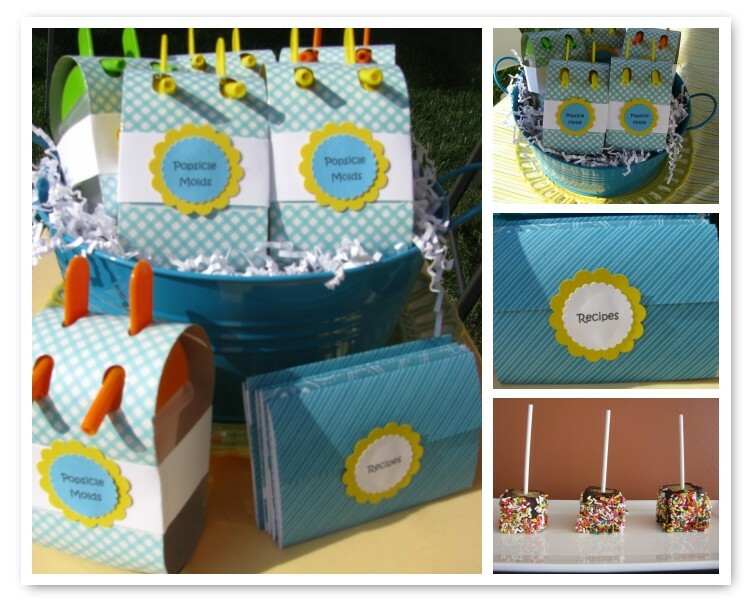 Each guest left with a set of popsicle molds, a Popsicle recipe envelope, and a Chocolate Peanut Butter Cheesecake Pop. We had a great day celebrating summer and playing with our friends! so cute! especially the invites! Super cute! Love the invites!! 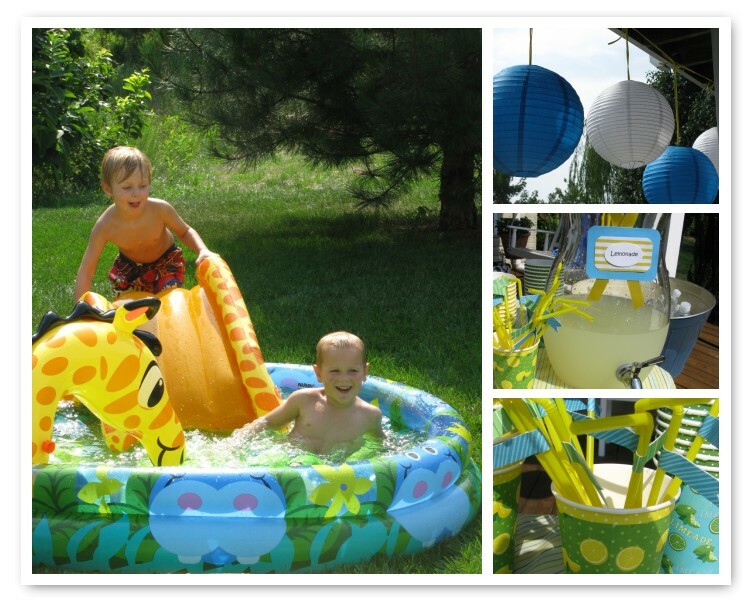 What a fun summer party! adorable invitations!! I am a new follower over from Celebrations at Home! congrats on being featured! SO so cute! I LOVED those invitations. very cute! i looked for your post/tutorial from 7/10 on how to make the invites, but couldn't find it. can you send me a link? thank you!